Finally getting into the swing of things at Crystal Palace. Photo by AJ Pearce. 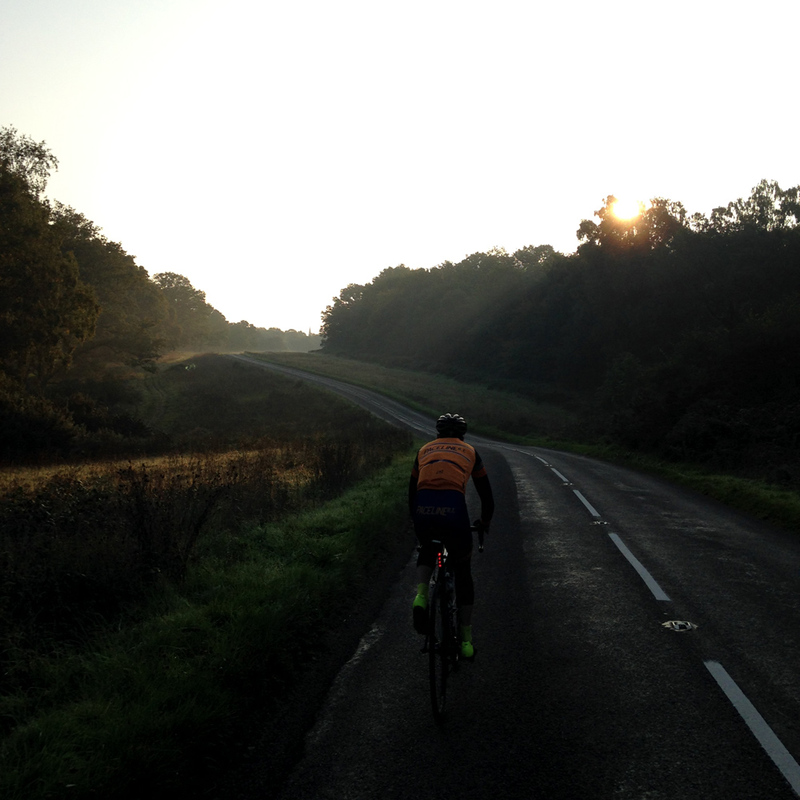 In the second of our season review series, Paceline founder member Damien has had a mixed, but enjoyable, year on the bike – but will be hoping for better luck in 2016! Just helping to get Paceline up and running has been a real highlight this year. Those first few rides with everyone wearing their new Paceline kit was pretty satisfying. I’ve had so many good moments on my bike over the year it’s hard to single out one in particular. I really enjoyed the Dunsfold 3rd cat race which Gareth won and I came 5th having ridden strongly. And not racing related, I rode from New York up to Boston during the summer which was ‘awesome’ as an American would say. So basically, quite a few low lights early on! But the worst of my luck was in the final stage of the Tour of Sussex, a very wet, very tough race around the Beachy Head circuit. I went into the stage lying 3rd overall (after the short road race on Friday evening, and a road race and individual TT on the Saturday). The odds of holding on to 3rd were very slim, but I was hopeful of trying to survive long enough to finish in the top 10 overall. Unfortunately I was caught in a crash after about 45km and went down quite hard – the lead group had already been whittled down to 20 to 30 riders by this point. After lying on my back for a few seconds feeling like I had the wind knocked out of me, I managed to get back up and continue but by the time I’d sorted my bike out the lead group was long gone. I rode on solo for much of the rest of the race, fighting the urge to pack in – but I was so angry and disappointed; I was determined to finish. I feel I underperform in most races so I’d say there’s a lot more than one! The closest I came to actually winning was in the second stage of the Tour of Sussex. I was away with a group of four – coming into the final few kilometres we were becoming more confident of staying away. At the back of my mind I was worrying about going too deep, knowing that the time trial up Beachy Head was just a few hours later and then the very tough final stage the following day. At the start of the final draggy climb of the circuit I put in a dig that distanced two of the group, but unfortunately only encouraged a counter attack by Richard Whitehorn of Dulwich Paragon. I put in a big effort to close the gap but just couldn’t manage it. Steve Cavey of 34 Nomads CC rode back up to me and we worked together – kudos to Richard who managed to hold us off with a tantalisingly small margin to win the stage. To keep on riding! I mean that literally as well as figuratively. This year I’ve clocked up more distance than ever before, and generally only had a couple of days a month off the bike. Much of that has just been commuting and getting around town, but I feel like that level of consistency really helps build a solid baseline of fitness. I’ve also found I recover much more quickly by doing an easy ride than by doing nothing at all. I’ve also tried to keep on riding even when everything seemed to be going wrong. I had a lot of bad luck in the first half of the season and I tried to remain positive and not get despondent. In the first two rounds of the Crystal Palace crits I barely lasted a few laps before getting dropped – it took quite a bit of will power to go back a third time fearing I’d get spat out the back after just a few laps. I stuck with it and gradually progressed from being happy to just finish with the bunch, to trying to animate the race. My only regret is not getting a result to reinforce that progress – I need to work on my cornering skills for next year! I’ve recently bought a power meter so looking forward to utilising that. I’m already getting a picture of the areas I need to work on and improve. I’m hoping to do regular testing to gauge my progress, which is possibly the hardest thing to do over the off season when training on feel alone. Generally I’ll do fairly unstructured riding up until December, then become more focussed come January. A lot will depend on the weather, so if we get a nice dry Autumn then I’ll be making the most of it! I’m just hoping to be able to keep up with the rest of the Paceline lot! We started the year with some strong, capable riders, but it’s really encouraging to see so many coming through having made a lot of progress over the year. 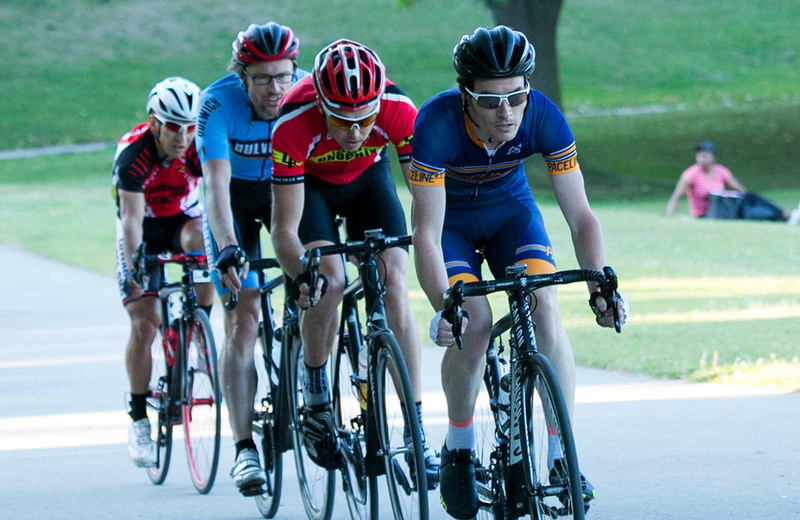 Paceline as a team in just one season has really made an impact on the local racing scene. Next year I’d like to target a few local races where I feel I can do well, and I have unfinished business with the Tour of Sussex. This season I feel like I often had the legs but not the luck – if I manage to replicate that form again, this time with a bit more good fortune (and self-belief! ), then hopefully I can get a few results. Maybe even a win if I’m really lucky!